The multi-level workflow allows you to create complex and individual automation workflows with lots of possible setting options. Simply drag and drop the elements from the right menu bar into the left drawing board structure of the automation. Connect the elements at the points and determine the sequence of the automation. As soon as the element is set correctly, the frame turns white and the red pen disappears. Each automation starts with one of four triggers. 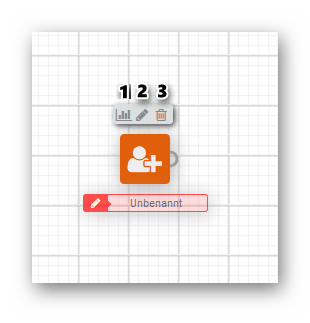 The workflow is triggered after a recipient has subscribed with a particular form (or all forms) for a certain recipient list. Each automation is only triggered at least 15 minutes after a subscription. The workflow is triggered for a recipient who is in a certain list and has purchased a certain product or any product. The following events of the workflow take place daily, on a certain day of the week (repeatedly), in a certain calendar week, monthly or according to a list of definable days. A calendar event is followed directly by the action "Load recipient list”, otherwise no recipient will receive a mail from your automation workflow. This automation starts for each recipient who is assigned a specific tag. It doesn’t matter whether the tag is added to the recipient by a click, an integration or manually. The first email after the "Subscription" and "Purchase of a product" triggers can be sent at the earliest 5 minutes after registration / purchase. Loads a specific recipient list or segment from a list. Only the recipients in the segment or list will receive the following automation emails. Sends a particular email to all recipients that get to this point of the automation. All recipients who get to this point of the automation are deleted from a certain list or all lists. A filter function checks if certain criteria apply to a recipient. The filter values are checked using the recipient's fields. Example: The system checks whether the recipient has the value "f" in the [Gender] field. Every recipient who meets the criteria continues the automation at "true", every recipient who does not meet the criteria continues the automation at "false". Pauses a certain number of hours or days before the workflow is continued. Divides list of recipients into two randomly selected lists of recipients. Copies a list of recipients. All recipients run through both automation lines. Links one workflow to another workflow that has an “anchor for workflows”. This is the target point to connect two automation workflows. Requires a connection via "Link workflows". To edit a trigger, an action or flow control, move the mouse pointer over the corresponding icon. Above it appears a small menu with three buttons. Statistics: Shows how often this step of the automation has been triggered recently. Edit: Edit the properties of the element. 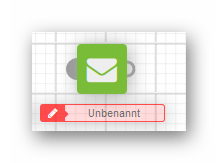 If you have added an email icon to your automation workflow, this does not yet contain an email. The red frame and the red pen indicate this. Click [Edit] to select an email or create a new email. The orange frame and check mark indicate that this email has been selected. To select an existing email, simply click on it and click [Save]. 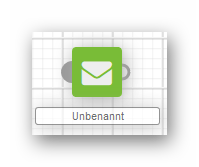 To create a new email, click [Create New Email] at the bottom left. Select a template. Only templates you used last are displayed here at first. To see more templates, click[Categories]. For the best view on all devices we recommend a template from the category "Responsive". 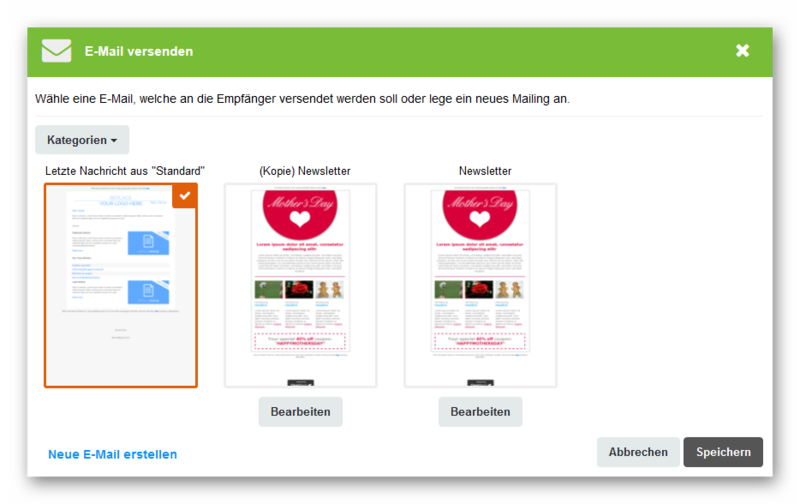 Click on continue and select the name of the newsletter, the sender name and the return address. 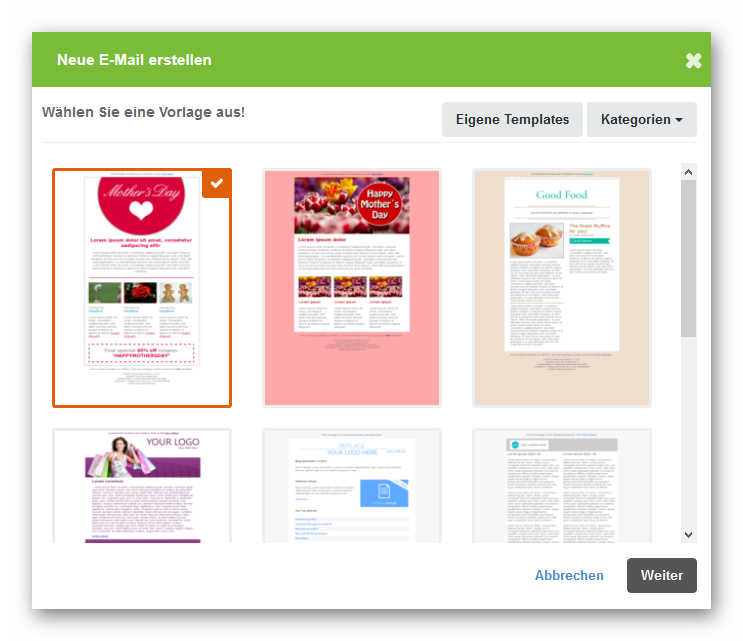 Now click on[Create] to create the new email.